Had a little issue today with Sunny Side Up. I was taking a short flight to go see an old friend and mentor. 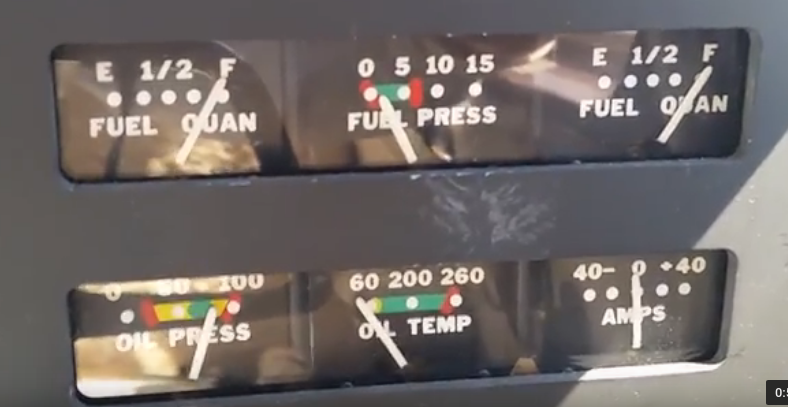 On climb out, at 1000 feet I shut off the boost pump and fuel pressure went from near the top of the green almost to zero, right at the bottom of the green zone. This is different from normal as it usually stays about in the middle of the green. The Engine continued to run fine. I turned the pump back on and the pressure went back up to the middle of the green. Once I leveled out at 4k I turned off the boost pump and the needle went to about the middle of the green. I will admit some panic set in as I worked the problem. I’m glad it was a clear day with no clouds and great visibility. I could not imagine how I would have reacted had I been inside a cloud. I continued the twenty minutes or so of my flight. As I neared my destination and began my descent, as part of normal landing procedure, I turned the boost pump back on and the pressure went above the green zone. I now had an over pressure situation. Curiouser and curiouser. 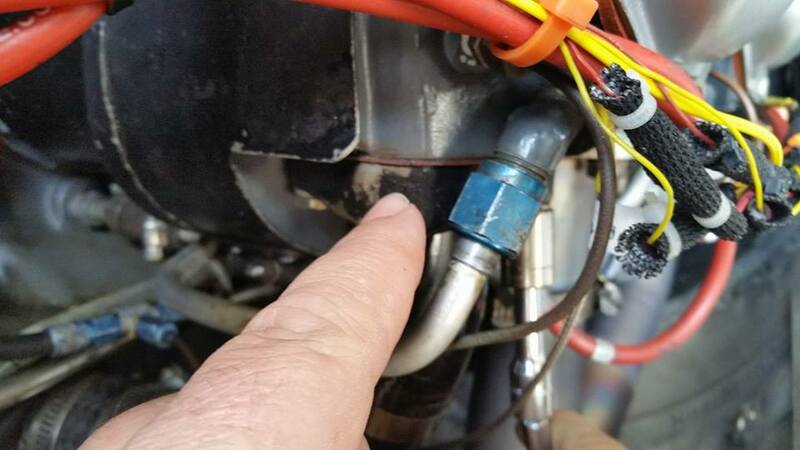 My friend and mentor suggested it might be the check valve in my electric boost pump is stuck open. Another thought was that the engine driver mechanical pump, new at overhaul, about 350 hours ago, was failing. I hoped that was not the case as replacing the pump is no small task. 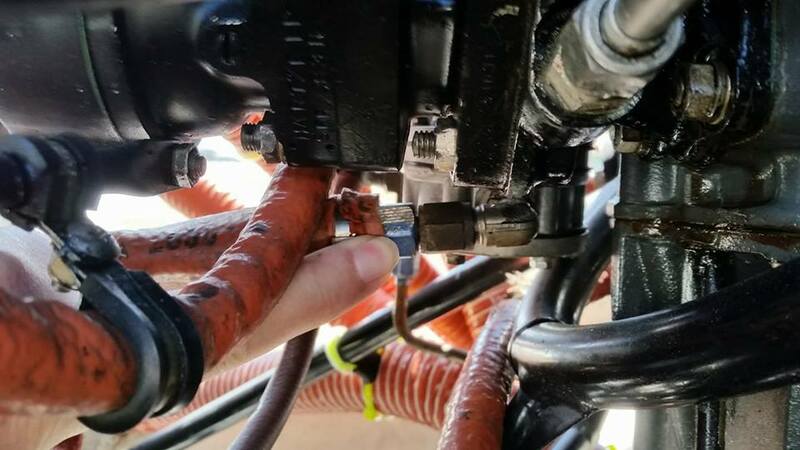 The Comanche fuel system is not all that complicated. 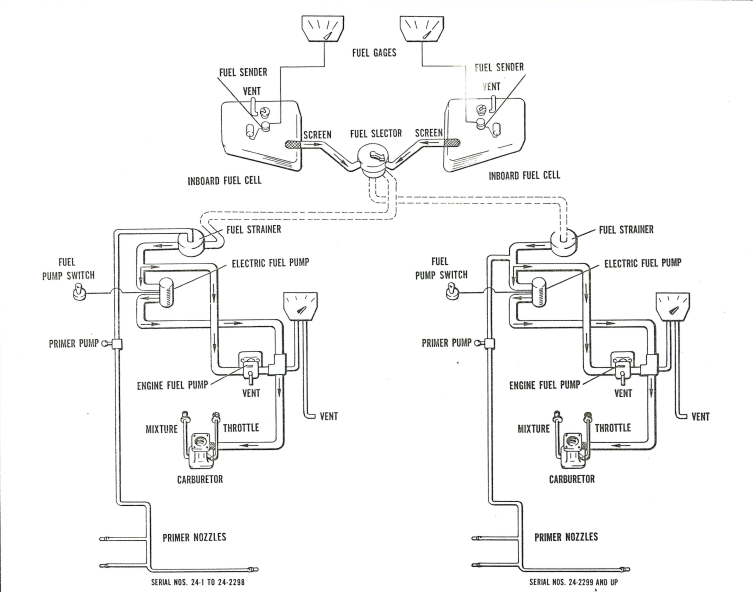 Two tanks come to a fuel selector and then fuel is fed through a strainer to an electric and engine driven pump, which both feed the carburetor. In the picture below mine is the one on the right. I had some discussions with experts and mechanics alike in order to help diagnose the problem. First off the manual states that the pressure “should not be under 0.5 pounds nor over 6 pounds, with a desired pressure of 3 pounds” Based on the gauge, my fuel pressure was awfully close to that lower number. But, was my gauge even accurate? It is fifty eight years old. Some of the clues to the problem came from that under and over pressure situation. 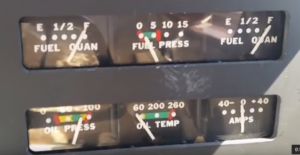 The fact that the fuel pressure went up upon descent meant that there was air inside the lines, which expanded once at a lower altitude where air pressure is higher and causes expansion. Another clue was that the pressure gauge would fluctuate rapidly when the engine was at idle. That is called cavitating and it clued us in that air was somehow entering the fuel lines. Another clue was that the primer was dry. That is to say, the primer had to be pumped to pull fuel back up to it. So it was not staying loaded as it should, but the fuel was seeping back down the line. Lastly and most perplexing was the lack of fuel staining or smell anywhere in the cabin or engine compartment. 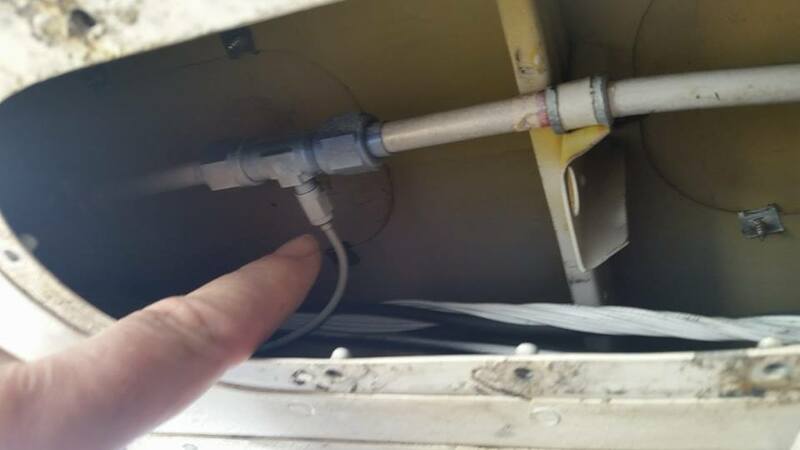 if it was leaking, it was very small indeed. Based on the fuel system of the Comanche, air could be entering the system at several places. The fuel tank selector, the primer handle, either of the pumps, and the fuel lines themselves. SO many places to look made the whole situation overwhelming. It was hard to pick a starting point. The mechanic and I settled on the primer problem first. If the leak was in the primer or attached lines, I would have a hot cylinder as this would possibly create a lean condition in one of the cylinders. Come to think of it, Number 1 cylinder was hotter than the rest. So yet another clue. The first test was to pressurize the primer system. air was forced through the primer lines just before the primer and lo and behold we found a small leak where the primer line attaches to the main feed under the plane. This was a simple fix. Loosen the connections and then re-seat and tighten them. The leak stopped. I hoped that the problem was fixed, but no not yet. The fuel pressure was still really low. My mechanic then stood staring at the engine for a while whilst rubbing his chin. A classic “Don’t bother me I am thinking” pose I often see. He then went and got a spray bottle of soapy water. He had me lock the brakes and put a chock on the front wheel. He instructed me to start the engine and put it at idle. He then walked up behind the prop and opened the cowling. This part always makes me nervous. He would spray and then look up at me an ask it there was a change in the fuel pressure reading. He sprayed cylinder 3 intake pipe and something did happen. The engine stumbled and the pressure fluctuated wildly. The intake on number 3 cylinder was sucking air. My mechanic had a wide grin on his face. The soapy water bubbled for just a moment before being sucked into the intake and making the engine stumble. But why did the fuel pressure fluctuate? A removal of the intake pipe revealed that the gasket had failed. 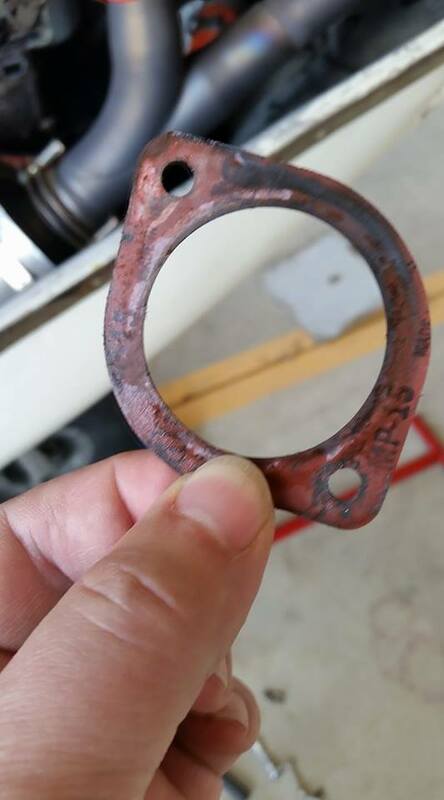 From the picture it is easy to see the back soot where the air was seeping past the gasket and being sucked into the cylinder and causing a lean condition and extra heat. Fifteen minutes, a new gasket and re-torquing the bolts solved this issue. Now why would an engine stumble cause the fuel pressure to fluctuate? That was yet another part of the puzzle. We started pulling on the fuel lines. If they were old and really stiff, they may have a crack in them that was aggravated when the engine stumbled and wobbled. The fuel lines are covered in a heat resistant orange wrap that helps protect them from heat and vibration. As the mechanic squeezed at them, he tugged and shook them. Then he spotted the problem. The return line on the engine driven pump was loose. The fitting had come loose and backed off the nut a couple of turns. It was just enough to allow some air to be sucked into the system when under pressure. A couple of turns with a wrench and the fitting was seated tightly and no amount of shaking the hose would make it come loose. Did we just find the problem? The mechanic and I were hopeful. Now it was time for a run-up of the plane to check the fuel pressure readings at the gauge. Success! The fuel pressure was now stable and right at the top of the arc. A good suggestion from another mechanic was to paint some torque seal across the fittings. Then it becomes easy during visual inspection to see if a fitting has slipped. A simple problem to fix, but not so simple to find. This entry was posted in This Old Comanche on March 17, 2018 by WebRuss.